Sowing annuals from seed directly into the garden is less time-consuming than starting your own bedding plants. There are many annual flowers that you can sow directly into your garden beds outdoors instead of starting them under lights indoors. 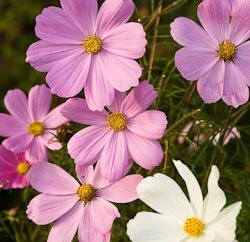 They include attractive garden stalwarts such as calendula, cosmos, larkspur, annual poppies, nigella, cleome, sweet pea and morning glory. 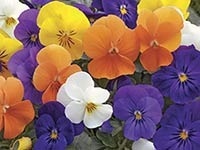 Annuals will give your garden lots of pizzazz and color. Try planting them in spots where perennials have disappeared after the winter, or as filler plants among perennials. What you need to know about growing annuals from seed – recommended seeding dates, how deep to plant and suggested spacing – is usually listed on the seed packet. 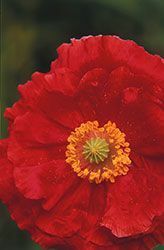 Many annual seeds can be started either way, direct-seeding into the garden, or indoors in containers, but there are a few – annual poppies, for example – that don’t like to be transplanted and perform best when direct seeded. This and more information is usually found in seed catalogues and on the back of seed packets. To grow annuals from seed directly in the garden, you’ll need a finely worked seedbed that’s free of weeds. Work your soil about 6 to 8 inches deep and be sure to mix in some organic matter such as well-rotted manure or compost; then rake it smooth. When sowing, either sprinkle the seed in shallow rows or broadcast it in a drift, depending on the design you have in mind. Cover seed very lightly. Some gardeners like to sift fine soil through a box or pan with a fine wire mesh on the bottom. After covering the seed, tamp the soil. An easy way to do this is to use a flat board that you step on to improve contact between seed and soil. Water carefully, using a watering can with a fine rose, or a watering wand that spays a gentle shower. Once the seedlings sprout, continue to water carefully to avoid dislodging tender young roots.